On March 21, 2019, Florence “Judy” Wilson-Graham lost her courageous battle with Pancreatic Cancer. Judy, who lived a life full of love and laughter, passed away at Chapman’s House in Owen Sound while surrounded by close family. While pancreatic cancer survival rates have been improving from decade to decade, the disease is still considered largely incurable. According to the American Cancer Society, for all stages of pancreatic cancer combined, the one-year relative survival rate is 20%, and the five-year rate is 7%. These low survival rates are attributable to the fact that fewer than 20% of patients’ tumors are confined to the pancreas at the time of diagnosis; in most cases, the malignancy has already progressed to the point where surgical removal is impossible. Judy was diagnosed with stage 4 which had already spread to the lungs. In most cases, this would likely result in 2-3 months estimate for end of life. But anyone who knows Judy knows that she is a fighter and fought this disease until the very end! She had just passed the 8 ½ week mark at her passing. For family and friends of someone who is diagnosed with this terrible late stage disease, one of the hardest things to witness is their loved one not being able to eat and the physical results are nothing short of heartbreaking. Judy was a healthy and full woman who weighed 225 lbs at the time of being diagnosed. When she passed, her weight was no more than 95 lbs. Food and nutrition and crucial for pancreatic cancer patients for much more than just weight management. It also affected her muscles and bones dramatically and caused daily pain in addition to what her body was already dealing with due to cancer. “We kept mom home as long as absolutely possible. In the last 8 weeks, she wasn’t able to get out of bed, which made it very difficult to care for her physically. Medication went around the clock which meant being up every 1-2 hours to manage her medication and pain. While I would do it all over again if my mom needed me to, I just wanted to let go of being her caregiver, nurse and PSW. I just wanted to be her daughter again! There was a very big misconception about Chapman’s House when we talked to my mom about moving from home. She didn’t know the amazing facilities they have there, or how incredibly caring all of the staff of nurses and PSWs are. I wish I had brought her sooner! They took better care of her than I was able to. The kitchen at Chapman’s House isn’t like a hospital and the food certainly isn’t either! Each meal, residents (everyone is referred to as a resident not a patient because this is their home) have whatever they want to be prepared for them by the in house cooks. At home, it wasn’t always easy to adapt to mom’s illness and food. Sometimes she was able to eat and other times nothing at all. There were times where she just had a craving for something, and I wasn’t able to make it for her. At Chapman’s house, if she would’ve had a craving for a hamburger, they would have made it happen! The connection between pancreatic cancer and weight loss is hard to witness first hand. To see my mom become half the size of her healthy self, hurt me more and more as every day passed. I wish I had brought her to Chapman’s House sooner. 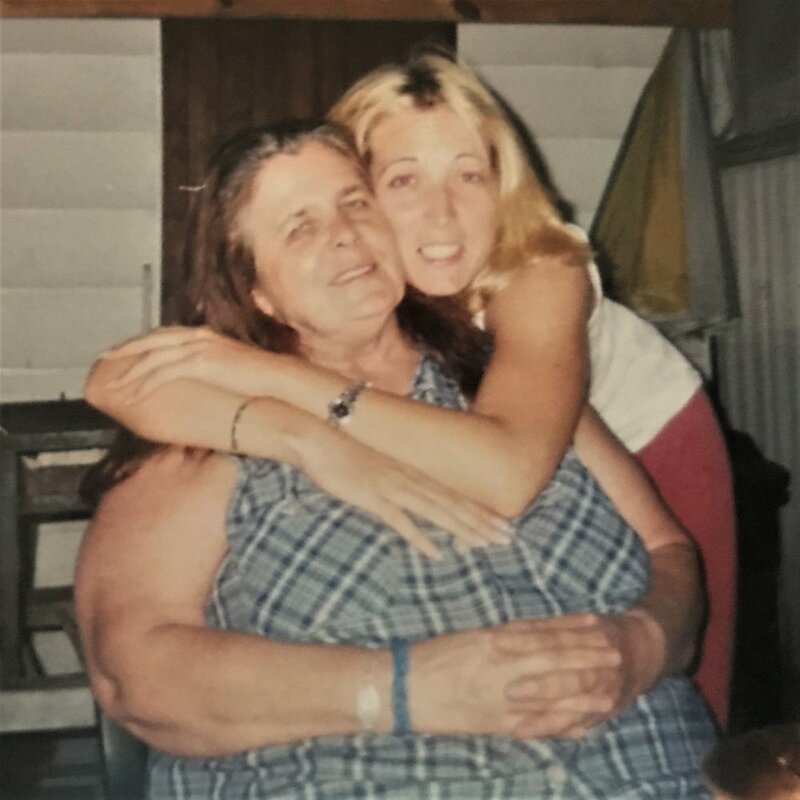 When mom passed away, my whole world crumbled in an instant. I knew it was coming but, I had to be strong for her. When it actually happened, it hit me harder than anything I’ve ever experienced before. I will always remember the staff being there to comfort me and support me while taking exceptional care of my mom. As a family, we wanted to be able to give back to our local hospice for all they’ve done for us. Each family in our community, will one day likely have the need for Grey Bruce Hospice for someone in their family. It’s because of the support of companies in this community like Chapman’s Ice Cream and the amazing people who come out every year for Hike For Hospice to help raise money, and the family and friends of people like my mom and even my friends, who keep this home away from home operating. Without the donations both corporate and the small, doable contributions, my mom would have had to be taken to the hospital. This was the one thing she asked me not to do and for a good reason. In 2012, my dad died from lung cancer. He asked me not to let him die in the hospital. He begged me to keep him home to die. And we tried, we really really tried. It was just 36 hours before he passed in a small, dark hospital room. I had lied to him to get him to go to the hospital. I told him we had to go to do some blood work. It hurt me like you can’t imagine to lie to him. The nurses warned us that we would not be able to control his pain no longer at home. As he sat in the triage room at the emergency department, he turned to look at me and said “But Lynne, you promised.” I now know that I did everything possible, but then those words cut through me. They still ring in my ears today. If only Chapman’s House had been around for my dad as they were for my mom. To help give back to Chapman House, we have set up a fundraising campaign in Judy’s memory. All of the money donated in her name, will go towards funding the Kitchen Pantry at the house. The place where all the meals are prepared with love for all the future guests who need it most!